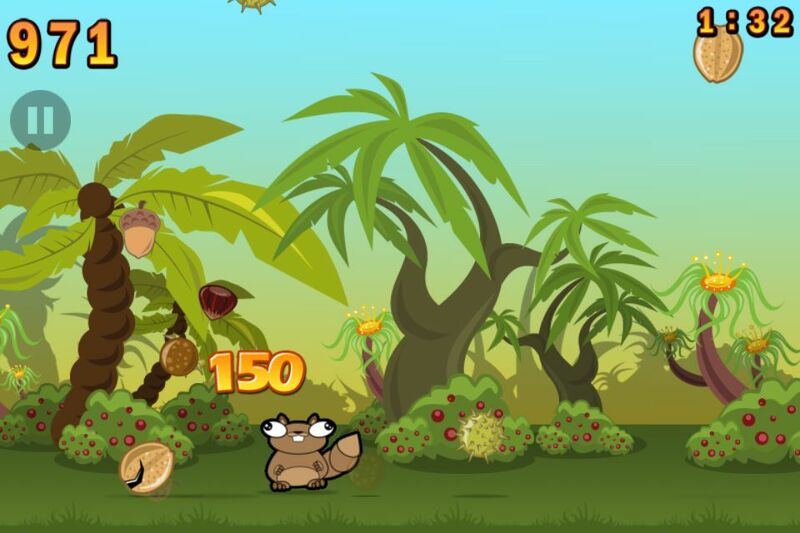 When the game Pocket God came out, my son couldn’t get enough of cracking the coconuts on the heads of the pygmies and then watching them eat them. If you enjoyed that game, you will love this one. Noogra Nuts features a squirrel with a very hard head. He uses it to crack the shells of the nuts that are falling from the sky. Once he cracks them, he loves to eat the tasty nut inside. They are a tasty treat for this cute little guy. There are three different play modes to this game. 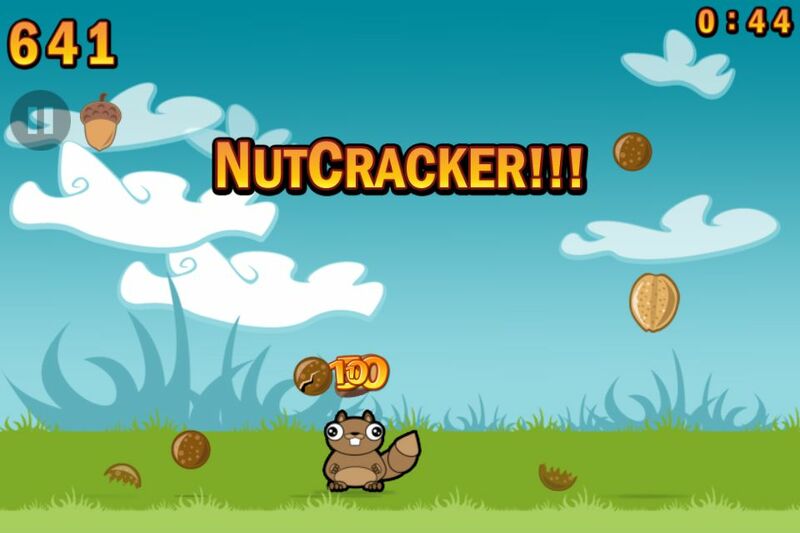 In Classic mode you have two minutes to crack and eat as many nuts as you can. Jungle mode gives you the same 2 minute timer, but you have to watch out for a couple other things. Don’t eat the rotten nuts and don’t get run over by the large rocks. The last mode is Survival mode. It is just what you would expect with a name like that. 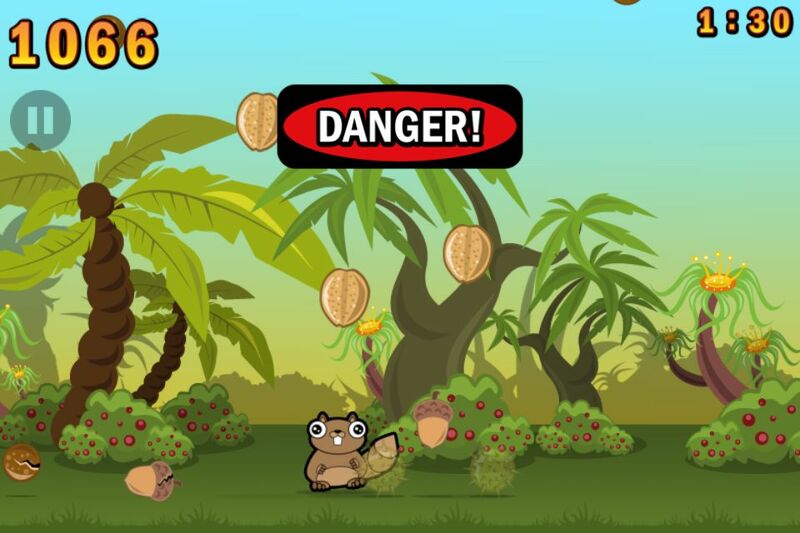 Survive as long as you can cracking shells and eating nuts. Again, watch out for the rocks, which are falling from the sky this time, and the tumbleweed. Both of these obstacles will hurt you, and you can only take three hits before you die. 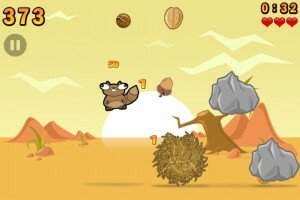 Noogra Nuts is easy to pick up and start playing. 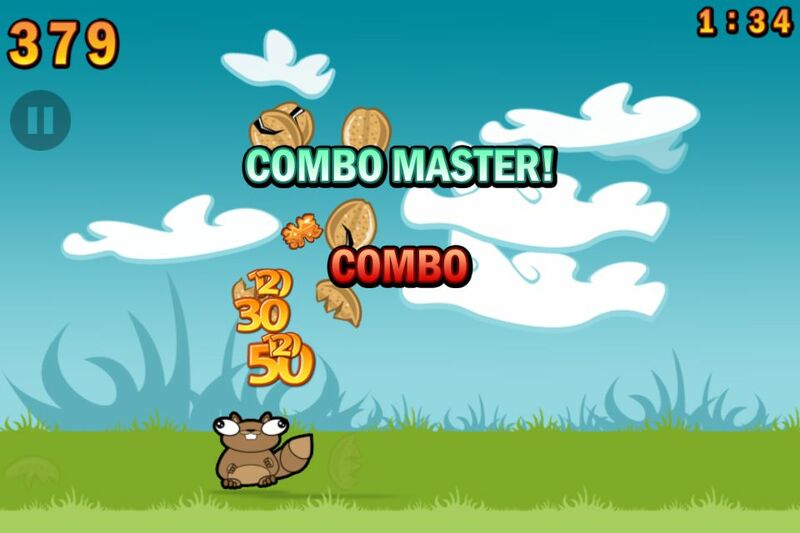 You control the squirrel’s side to side motion by tilting your device and make the squirrel jump by tapping anywhere on the screen. The goal is to stay alive and get the highest score you can manage. 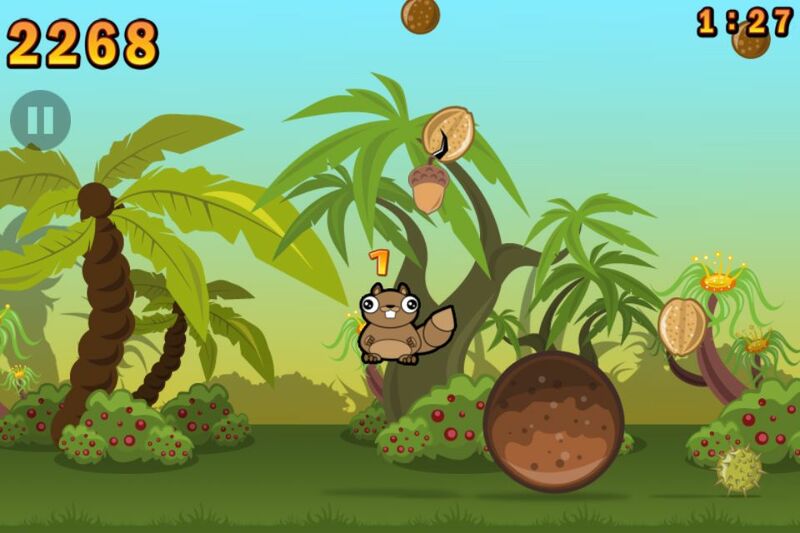 About scores….none of the nuts crack open the first time you hit them, and the first hit only gives you one point. You would have to bop a lot of nuts this way to get a score of any consequence. The number of points earn gets higher with each time that you hit the nut. Some nuts take more hits to crack, but they yield more points as well. 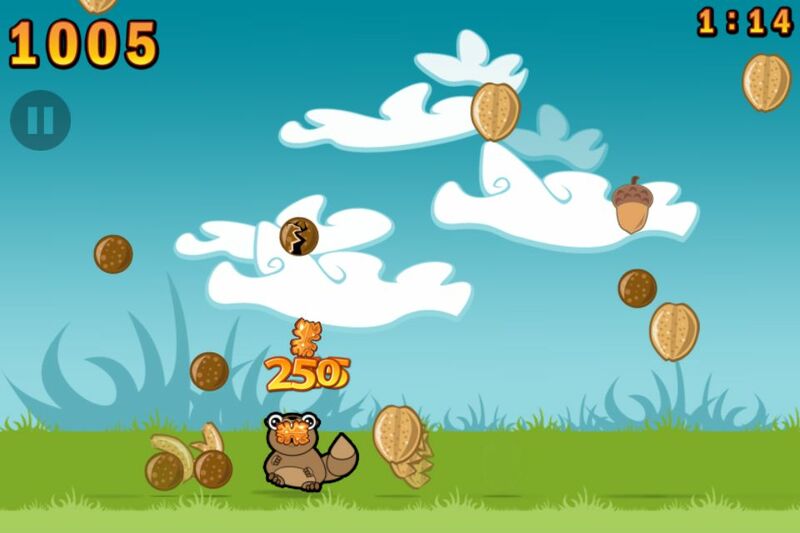 The highest number of points comes, as you might expect, when you actually eat the nut itself. It takes a little skill to stay under the nuts and to keep hitting them over and over. If the nut hits the ground, it is out of play. You can’t even eat nuts on the ground. No”2 second rule” for this squirrel. 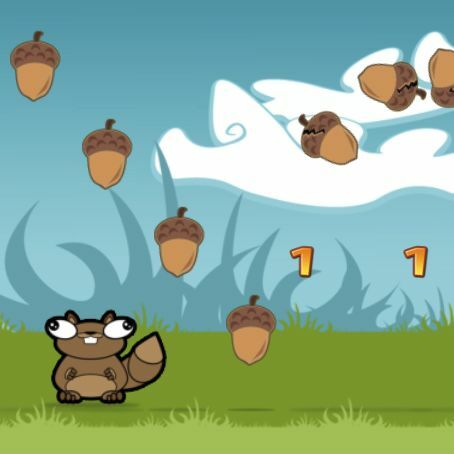 Noogra Nuts is simple enough for kids, but challenging enough for adults. It is easy to learn and easy to play. A great game for all ages. do you have toy figures of that cute squirrel? 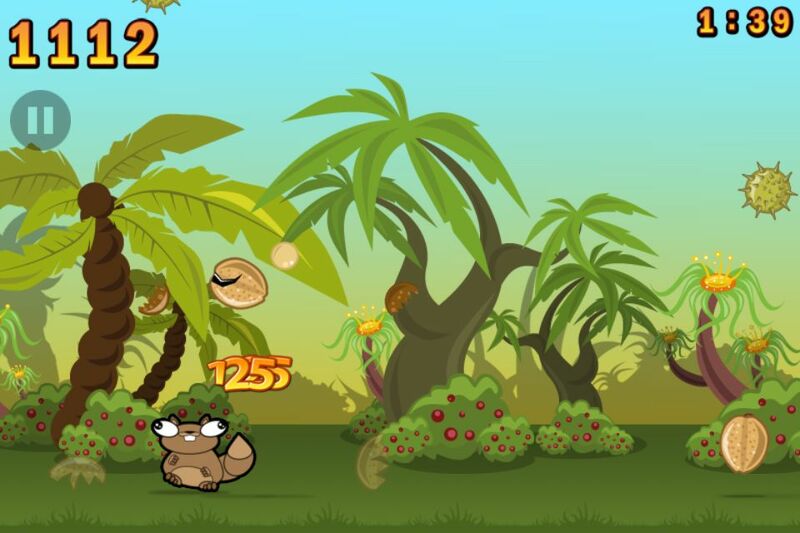 Great and addictive game! So much fun. I`m glad there’s now also an iPhone version.